Nurse Jackie’s back on TV tonight. I know this because when I logged on to the New York Times this morning her ad flashed right at me, front page and right center. She’s displayed prominently on Huff Po, vanishingly on Dictionary.com. With just a quick search I can’t find her anywhere in the Wall Street Journal. At the LA Times she takes over the screen. For the “facts” on Nurse Jackie you can find her on Showtime’s original website. There, the program promises to continue “its look deep inside the complicated heart and soul of a functioning addict, a loving wife, mother, and a first-class nurse.” I’m curious but must admit that last year I watched only part of one episode and didn’t return. 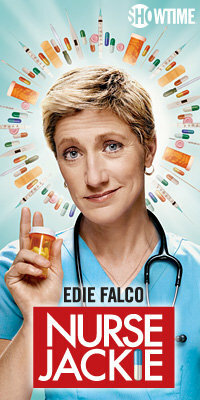 Back then I was turned off preemptively by the image of Edie Falco looking harsh, white-coated and unsmiling. The syringe and needle in her raised, gloved hand suggested a third finger, or at least that’s how it seemed as we drove past her image, repeatedly, on a giant billboard. That poster was enough for me. 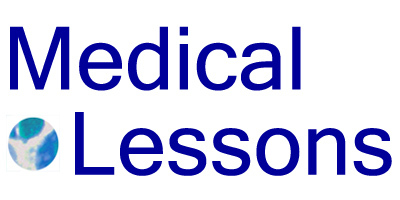 I’d spent too much time in hospitals in trust of innumerable nurses to want to see that side of health care delivery. Also, I liked Edie as Carmela Soprano so much, then fresh in my memory. Why ruin it? This morning I was listening to WNYC while reading the newspaper and eating my healthy breakfast. As I recall, according to a reporter assigned to assess the public’s and health care workers’ response to the health care reform bill among people on the street near Lenox Hill Hospital, in my neighborhood, one individual said she doesn’t really know what to expect from the changes because she gets most of her news from TV. I didn’t catch any more details – if she meant CNN, for example, or Fox or The View – and exactly how and why she found the source limiting. One thing I did note in the Times, and also on the Kaiser Health News website, both of which provide excellent summaries of the hopefully-real health care changes to come, is that reform won’t even start to happen for the most part until 2014. Meanwhile grows an authentic addiction to the Internet, TV, radio and even some blurry advertisements for information on medicine that people can’t or don’t get elsewhere. So I’m thinking I should watch Nurse Jackie tonight. Give it another try. Maybe I’ll learn something. And whatever did happen to the House of God?